Palabras clave: Géneros Naturales, Epistemología, Metafísica, Naturalidad, Membresía, Reydon. T. Reydon (2010) analiza el debate actual sobre los géneros naturales e identifica dos corrientes –denominadas “aproximación metafísica” y “aproximación epistemológica”– que interpretan y abordan un mismo problema de manera distinta. Después de examinar de forma crítica algunos aspectos problemáticos de la propuesta de Reydon se presenta un análisis alternativo, en donde se recogen y desarrollan aspectos de su propuesta introduciendo nuevos elementos a fin de salvar sus limitaciones. Defendemos que entender la discusión filosófica sobre los géneros naturales en los términos de este nuevo análisis facilita la comprensión y caracterización de muchos de sus aspectos más controvertidos. Bird, A. “The Metaphysics of Natural Kinds”, recuperado de http://eis.bris.ac.uk/~plajb/research/inprogress/Metaphysics_Natural_Kinds.pdf. Bird, (2010), «A Posteriori Knowledge of Natural Kind Essences: A Defense», Philosophical Topics, Vol. 35, pp. 293-312. Bird, (2010), «Discovering the Essences of Natural Kinds», en H. Beebee, and N. Sabbarton-Leary (eds. ), The Semantics and Metaphysics of Natural Kinds, Routledge, pp. 125-136. Borghini, A., y Casetta, E. (2012), «Quel che resta dei generi naturali», Rivista di estetica, Vol. 49, pp. 247-273. Boyd, R.N. (1999), «Kinds, Complexity and Multiple Realization», Philosophical Studies, 95, pp. 67–98. Boyd, (1991), «Realism, anti-foundationalism and the enthusiasm for natural kinds», Philosophical Studies, 61, pp. 127–148. Boyd, (1999), «Homeostasis, Species, and Higher Taxa», en R. Wilson (eds. ), Species: New Interdisciplinary Essays. Cambridge: MIT Press, pp. 141-185.
Cooper, R. (2005), Classifying madness: A philosophical examination of the diagnostic and statistical manual of mental disorders. Springer,. Devitt, M. (2008), «Resurrecting Biological Essentialism», Philosophy of Science, 75, nº 3, pp. 344-382. Dupré, J. (1999), «Are Whales Fish?», in D.L. MEDIN & S. ATRAN, (eds), Folkbiology, MIT Press, pp. 461-476. Dupré, J. (1993), The Disorder of Things: Metaphysical Foundations of the Disunity of Science. Harvard: Harvard University Press. Dupré, J. (2002), Humans and Other Animals, Oxford: Oxford University Press. Ellis, B. D. (2001), Scientific essentialism. Cambridge: Cambridge University Press. Ellis, B. D. (2009), The Metaphysics of Scientific Realism, Chesham: Acumen. Garvey, B. (2007), Philosophy of biology. Stocksfield: Acumen. Goodman, N. (1978), Ways of Worldmaking. Indianapolis: Hackett. Hacking, I. (1991), «A Tradition of Natural Kinds», Philosophical Studies, Vol. 61, pp. 109–126. Hacking, I. (2007), «Natural kinds: Rosy Dawn, Scholastic Twilight». Royal Institute of Philosophy Supplement, Vol. 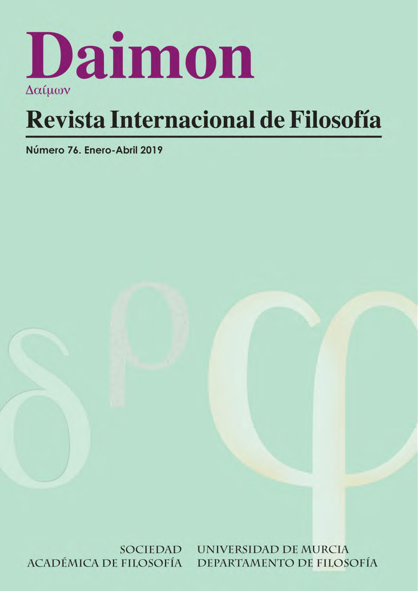 82, nº 61, pp. 203-239. Keller, R. A., Boyd, R. N., & Wheeler, D. Q. (2003), «The illogical basis of phylogenetic nomenclature». The Botanical Review, Vol. 69, nº 1, 93-110. Khalidi, M. A. (2013), Natural Categories and Human Kinds. Classification in the Natural and Social Sciences. Cambridge: Cambridge University Press. Laporte, J. (2004): Natural Kinds and Conceptual Change. Cambridge: Cambridge University Press. Locke, J. (1975): An Essay Concerning Human Understanding. En Peter H. Nidditch (ed.). New York: Oxford University Press. Traducción de E. O’Gorman. Ensayo sobre el entendimiento humano. México: Fondo de Cultura Económica. Lowe, E. J. (2006): The Four-Category Ontology: A Metaphysical Foundation for Natural Science, Oxford: Clarendon Press. Macleod, M. (2010): «The Epistemology-only Approach to Natural Kinds: a Reply to Thomas Reydon», en F. STADLER (ed.) The Present Situation in the Philosophy of Science. The Philosophy of Science in a European Perspective, Vol. 1, pp. 189-194. Magnus P. D. (2012): Scientific Enquiry and Natural Kinds: From Planets to Mallards, Basingstoke, Hampshire: Palgrave Macmillan. Mill, J. S. (1884): A System of Logic. London, Longman. Okasha, S. (2002): «Darwinian Metaphysics: Species and the Question of Essentialism», in Synthese, Vol. 131, pp. 191–213. Quine, W. O. (1969): Ontological Relativity and Other Essays. New York, Columbia University Press. Reydon, T. (2010): «Natural Kind Theory as a Tool for Philosophers of Science», en: M. Suárez, M. Dorato, & M. Rédei (eds. ), EPSA, Springer, pp. 245-254. Russell, B. (1948): Human knowledge: its scope and limits. New York, Simon and Schuster. Strawson, P. F. (1959): Individuals, London: Methuen, p.169. Wilson, R. A. (1999): «Realism, essence, and kind: resucitating species essentialism», en Species: New Interdisciplinary Essays, Cambridge: MIT Press, pp. 187-207. Wilson, R., Barker, M. J., & Brigandt, I. (2007): «When traditional essentialism fails: biological natural kinds», Philosophical Topics, Vol. 35, nº 1, pp. 189-215.